The Quickstart installer doesn’t require an Oracle Database but uses a Java Database. 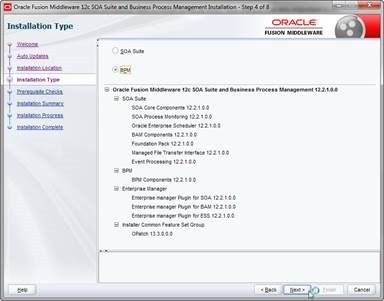 In order to use BAM, an Oracle Database is required so the edelivery installation packages should be used if BAM is going to be used with SOA and/or BPM. The Quickstart installer limits domains to a single managed server. The Quickstart installer doesn’t support B2B domains. Got the error “404 Not Found”. I can access the documents folder but didn’t see the file.